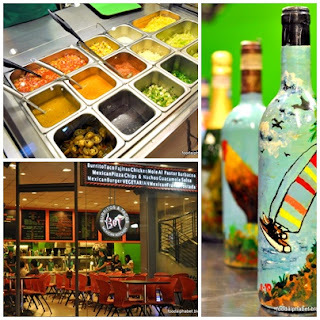 B&T, Burritos and Tacos a Mexican place serving fresh Mexican treats and bites, is located at Sekai Building along Ortigas Avenue, and I consider this to be one of the best Mexican food place in Manila. 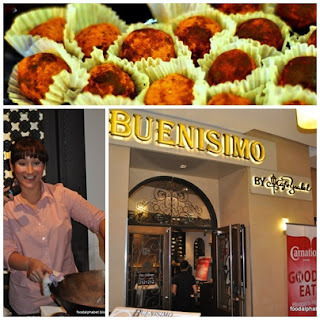 Just opened a few months, it is slowly growing in the hearts of many Filipinos, and is already packing up quite a fan base with their delicious Mexican treats. Let me showcase some of them for you. First up, Chips and Dips P180, wondering why these chips come in three colors? No, its not the taste, they all taste the same. But the 3 colors represent the colors of Mexico, ahh...you didn't thought of you did you? Well if you did good for you then, the chips were served warmed with 3 kinds of dips, with salsa, melted cheese and my favorite chili con carne. All of the dips were amazing, from the taste you would it was freshly made and of the best quality... the cheese was very thick which I loved, salsa perfectly mixed and had just the right amount of spice and the chili con carne, not chili enough but gives you quite a kick on the taste buds. The Mexican Vegetarian Pizza P430, good alternative for those non-beef eaters and our vegetarian friends. The Mexican Chipotle Chicken Pizza P450, with big chunks of chicken, green pepper and other vegetables and cheese, quite delicious I may say, the crust is perfect to their cooking not too thick nor crispy thin. The Carne Asada Torta P340, pure beef pleasure, sided with sweet potatoes. Fish Tacos P330 (3 pcs. ), a hefty serving of the freshest catch of the sea with all the best ingredients you would want in your taco!!! Shrimp Burrito P350, honestly I am not a fan of Burritos, why? They are not easy to eat because of the big size, how can you fit it in your mouth..joking aside, just look at how packed that burrito is, with loads of fried shrimp, lettuce, egg bits, corn kernels and so much more. It is definitely a "sulit" dish, I for one cannot finish that so bring a friend to share it with. And my favorite for the evening, The Barbacoa Tostada P330 (3 pcs. ), the beef used was more on the beef used in making beef stew but much beefier than that, placed on torched tortilla chips and smothered with fresh lettuce and salsa, I would have another serving of this in a heartbeat. And for dessert, it was Quesadilla de Fruta P215, love crepe? this is better, torched soft tortilla with bits of peaches and cheese, topped with vanilla ice cream and chocolate syrup, yummy finish to very fulfilling meal. It was one cloudy lunch, as some of "The Club" members were invited to sample Pedeli's Gourmet sandwiches. We were met by the owners Peter "The Sandwich God" Sison and Francisco "EBOY" Bautista. We were then shown the way how Pedeli came into this world, and it was quite a friendship to behold. I could definitely say they are made for each other... in business terms that is. Now for a crash course on what you need to know before picking up that phone and calling Pedeli's, let me show you some of their delectable creations. If you want to know, how big is [Big] and if you can finish a [Bigger], as for my case am already full at [Big], yes they are packed sandwiches, as their driving force states "SIZE DOES MATTER", and it was one hefty serving, a simple California maki in a sandwich with tangy spread, it may be as simple as that but in the hands of Peter and Francisco, they tasted extra special. Tuna Chunks with minced egg, sweet ham and cheese, and a lot more sweet ham, sliced egg and sliced cheeses in 3 whole wheat bread. This is definitely the healthy choice, with protein-rich tuna, this is definitely for the weight conscious yet packs a full stomach without the guilt. Bacon bits with everything that you want in your sandwich, this is one of my favorites, the delicious bacon was too much to resist and the taste mmm....... not to worry they only use lean bacon, lesser evil I would say. This came out as a surprise for me as I usually have my sausages in buns, but this was quite exceptional, the Hungarian sausage was to die for, add it up to a great sandwich, then you get one awesome sandwich. Loved it! They also have the Deluxe Series which is basically the same as the Supreme Series, but with only 2 whole wheat bread and less cheese, ham and eggs. I have to say this to you guys, I am no fan of Pesto, sorry to say, I know a lot of you are Pesto lovers, but I just don't like the taste, but since it looks yummy I gave it taste, and guess what, to my surprise, I loved it! It had an exquisite taste that I honestly can say I love Pesto, well only Pedeli's Basil Pesto that is. This Creamy Linguine just won an award... well my award of excellence that is. Ha! No words to describe how good it tastes, just order some and get your fill, I know I will. The magic behind Pedeli's Gourmet Kitchen, Peter and Francisco (Eboy). Try out Pedeli's Gourmet Kitchen, you will be more than fulfilled, I assure you. I would be back again here to try out their dessert masterpieces such as the Choco fudge with cashews, No bake cheese cake, the Pavlova, the Honey Semifreddo and to cap it all off the classic Flantastic. I will be back here, definitely. Before I finish this post, try out their Oatmeal Chip cookies, they can surely melt your heart away. It's a waste that Pedeli's has only small room to accommodate its guests because of space restrictions, they will definitely expand soon. But for the mean time, you can always call them for take-out or delivery. Always remember this, all of Pedeli's sandwiches and food creations are freshly made upon order. So you can be assured of its tasteful bliss. You can reach them at (632) 570-9708 for delivery or you may visit them at LG66, Cityland Pioneer, 128 Pioneer St., Highway Hills, Mandaluyong City. Delivery hours is from 2PM - 11PM. But wait they currently have a promo online so you may want to visit and take a look at www.ensogo.com.ph. 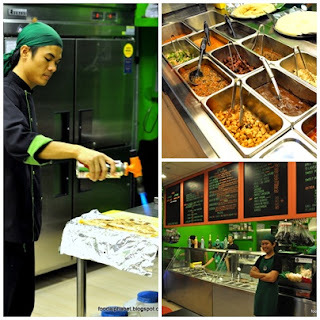 that you can get their set meal worth P605 for only P300. Ain't that a treat! Buy now and get the best gourmet sandwiches in town. If anyone is serious enough to make one of the best gourmet sandwiches around, it has to be Chuck's Deli. 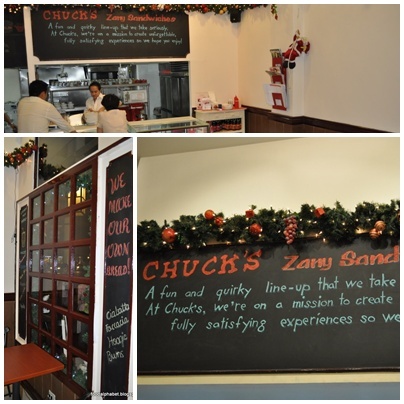 I can see their dedication and passion in making their sandwiches, so may I take you on this lovely trip of sandwiches and mouth watering deli treats that makes Chuck's Deli, one of my favorite delis. This is the emergency broadcast system, I just have to let you know this... their potato chips are amazing!!! Thinly sliced, crispy fried home-made potato chips and made upon order, that is how fresh they are and that is how I love them so, I finished 3 small bowls, burrpp! ooops! Don't tell my wife... ahh katabi ko pala siya. First up, California Waki , kinda reminds you of the infamous California Maki right? But trust me this is better. 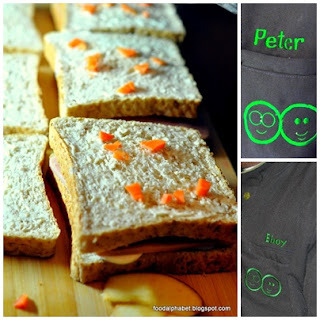 A flavorful slabwich with lettuce, tomato, kani, sliced eggs, mango slices and wasabi mayo. Now that's a whole lot of stuffing in one slabwich wouldn't you say. Share a slab unless you're really that hungry that is. The fresh lettuce was crisp to the bite and kani mixed with wasabi mayo really puts the icing on this complement it with their very own baked Ciabatta. P255 1/2 slab, P445 1 slab. One of the highlights of the evening, Reuben Slabwich - just how we would like it to be, homemade Angus corned beef, Swiss cheese, sauerkraut, mustard and Chuck's sauce (Chuck's secret spicy sauce) a favorite amongst "the club" - after this pic Reuben was nowhere to be found, I had to report it missing. - P275 1/2 slab, P495 1 slab. The fun just never stops coming, then The Buffy came along, gleaming with Buffalo (a.k.a. Buffy) Chicken, garlic sauce and coleslaw, the ooze coming out of the slabwich was too much to bear, and I just had to take a bite into it, and savor the crispy and juicy buffalo chicken, the garlic sauce brought out the tastiness of the chicken and thus made it as one my favorites at Chuck's Deli - P255 1/2 slab, P445 1 slab. The Pilgrim, Thanksgiving all in one sandwich, all year round! Now you don't have to wait for Thanksgiving to savor this fabulous turkey sandwich, a slab of white roast turkey meat, stuffing, cranberry jelly and gravy. Did I make you salivate? Don't even wonder why I am getting on the heavier side nowadays. It's because of these delectable slabwiches that I can't or won't be able to resist. P255 half slab, P445 whole slab. One last favorite, before I call it a night. This particular sandwich did fool me and has an interesting yet funny name. Faking Duck, now there is no duck nor any fowl inside, its good ol' roast pork, lettuce, hoisin sauce, leeks and crispy noodles. P185 half slab, P335 full slab. I love Peking duck that is why I love Faking Duck. Also, try The Shepherd, P 355 - lamb sausage, now that's something you don't have everyday, I don't eat much of lambs but I tried this one, it did have that distinct lamb taste, but not that much so it was tolerable for me but for lamb lovers, they could get a kick out of this, and Chuck's Burger P 265 - Angus beef patty burger, Chuck's sauce, mayo and with pickles and tomatoes, what's not to like. I had one of my most satisfying deli meals to date. I never thought that I would come out with a big tummy and a happy smile on my face. The question is will I come back for more? The answer is YES. There are still more sandwiches to choose from and of course the Home-made potato chips. Now making these sandwiches can take some time so if you're in a hurry, you can always call them ahead, and have your order prepared. Then you just pass by and pick it up, you don't even have to park your car. Chuck's Deli, only the freshest slabwiches for you. 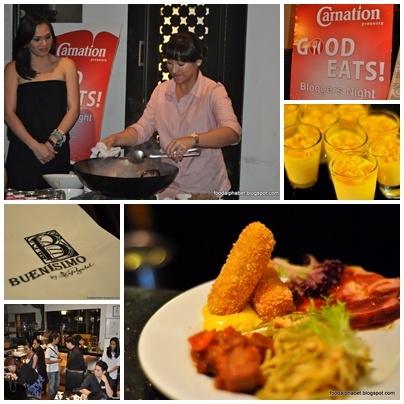 It was a night of treats, a night of glamor and a night of good eats. Carnation presents Good Eats Blogger's night at the Buenisimo by Cafe Ysabel. We were starstruck by Carnation's endorser Ms. China Cojuangco as she showcased her cooking talents to her fans and all the guests at the event. Rib-eye beef sauteed with a mix of Carnation, a perfect blend for a perfect dish. and Canadian Glazed ham, cooked just right, had that distinct taste, sweet and tender, I was glad it did not have a burnt taste like most hams are made when in the wrong hands. 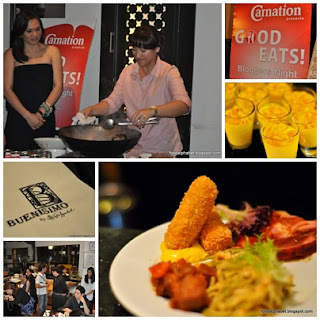 Overall, it was night of fun, and a night of delicious treats, Thanks to Carnation and Buenisimo by Cafe Ysabel, located at Eastwood Mall, Eastwood City Libis. Please visit their FB page "Cook at Home" for more promos, freebies and free recipes from Carnation and Ms. China Cojuangco. Max's Restaurant has recently started another buzzword among foodies with the launch of its latest promotion aptly dubbed, the "Max's Crispy Pata Feast." The most ravenous cravings are sure to be satiated with this mouthwatering spread - one hefty plate of Max's fork-tender Crispy Pata, Sinigang na Tiyan ng Bangus, 4 cups of steaming white rice, 4 glasses of any ice-cold Pepsi softdrink, and 4 servings of melt-in-your-mouth Buko Pandan dessert to cap a traditional Filipino feast- all for PhP 865 only! That's more than PhP 300 savings for a fully satisfying meal, perfect for sharing with friends and nurturing relationships with loved ones. "As we usher in 2011, Max's offers this irresistible promo to celebrate new beginnings with our valued customers. Diners can now indulge in their favorite Max's Crispy Pata for only P865! That's value for money from Max's as we commit to providing our customers with the most sumptuous dishes all year-round," said Bobby Simborio, Corporate Communications Officer for Max's Group of Companies. Catch the Crispy Pata fever this 2011! 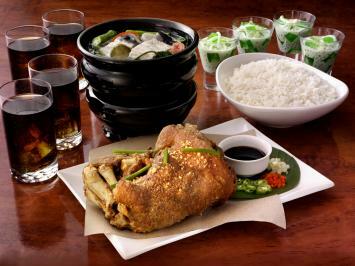 Max's Crispy Pata Feast is available for dine in or to go, from January 20 to February 20, 2011. Log on http://www.maxschicken.com/ or visit http://www.facebook.com/ to sign up for Max's fan page and learn more about the best offerings and most scrumptious dishes from Max's this 2011. Every time I dine in at Marriott Cafe, they always have fresh new surprises waiting for me. And so to start the year with a bang, they bring forth to us their latest offering: Ocean's Surf at Marriott Cafe. Dive into an entire buffet spread of ocean treasures, fresh from the rich seas of the islands, prepared just the way you like it as Marriott Café brings Ocean’s Surf. 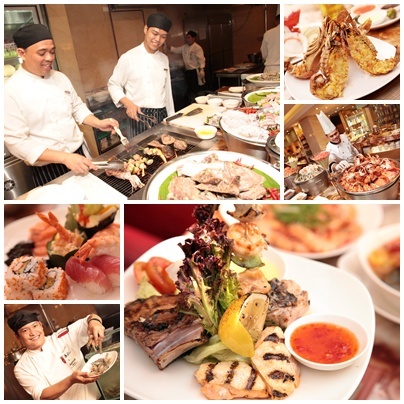 Combining the finest of seafood and meat choices, it will surely stimulate another exciting weekend of gastronomic dinner with the whole family for only Php1750nett. Just look at all these food to feast on... Fresh catch from the sea. 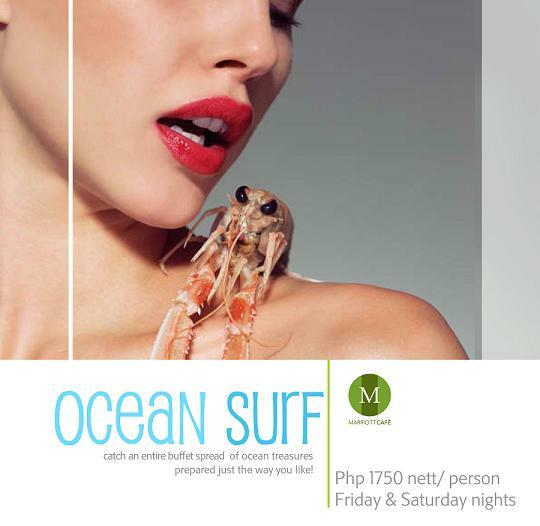 Ocean’s Surf will be available every Friday and Saturday dinner for the whole year at PHP 1,750nett for adults and PHP 875nett for children. Children below 12 get in for half the price while children below 6 get in for free!